Hero Affiliates is the casino affiliate program for Casino Heroes that was established in 2014. Casino Heroes offers the experience and adventure for players to play in a journey where their game play will determine the outcome along with some extra winnings. The site is available in English, Swedish, Finnish and Norwegian and is licensed in Malta. The casino features games from software providers such as NetEnt, Microgaming, Betsoft and Play’N Go. 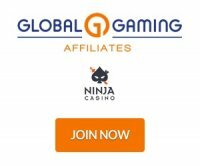 The affiliate program offers revenue share commissions which start at 20% and increase to 35% depending on net revenue per month and there is no negative carryover. No CPA or sub affiliate program is listed on the website. Payments are made the first week of each month considering the minimum €100 has been achieved. Payments are made via Skrill, Neteller and bank transfer. The affiliate program has an excellent backend that allows affiliates to find all the information and reports they need. Affiliates can update payment information, check a wide selection of statistics and get their tracking links, banners and marketing materials including banners, videos, images, graphics and logos. Casino Heroes is a unique casino launched in 2014 providing a unique approach for players to enjoy their gaming experience. Once players start playing and working their way through their journey they are assured to return and continue their experience. The casino is truly setting themselves apart from all the other casinos around.